Welcome to Stuart Fifield's website. On this site you will find information about the characters of the Contessa di Capezzani-Batelli, as well as the archaeologist Rupert Winfield. The site also contains biographical information on the author. Current ongoing works in progress include a family saga entitled "The de Montcriefs", and the Robert Balantyne-Rhodes novels featuring a war-damaged detective seconded from London to the South African Police in Cape Town during the 1920s. 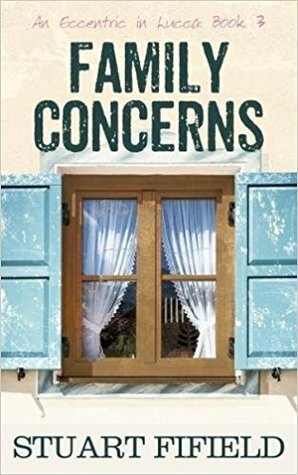 "FAMILY CONCERNS", the third in the "An Eccentric in Lucca" series, was released by the Book Guild in April, 2017. You can read a sample chapter - just follow the link. It has been met with very favourable comments from both lovers of opera and travellers to the beautiful city of Lucca. The fourth novel in the "An Eccentric in Lucca" series, provisionally entitled "ROOM TO BREATHE" is already well under way. 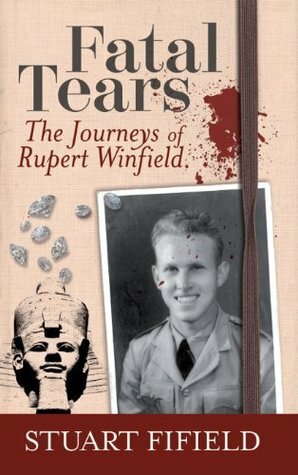 Plans are afoot for the fourth Rupert Winfield journey, this time involving the burning deserts of Libya and the Nazi rocket programme. The journey starts with Dr Hopkins having to face a ghost from his past at the Lijssenthoek Military Cemetery (the biggest in the British Army by the end of the First War) and was partly inspired following my recent trip to the Ypres Salient as part of the Passchendaele commemoration. Click on the links to the left to explore further and read sample chapters from books published so far. Copies are available as hardbacks or as e-books, including through Barnes & Noble in the United States. The MP3 Jukebox icon will allow you to listen to three pieces of specially composed music, each of which reflects the spirit of the principal character of the novels. There are frequent giveaway competitions via the Goodreads website. Please check their website for details. You are also warmly invited to visit and follow the author's blog at http://www.swfifieldblog.com . Website last updated 1st September, 2017.